Following a row with Italy about the purpose of the meeting, Merkel is downplaying expectations. “The meeting on Sunday is a consultation and working meeting at which there will be no concluding statement,” she said. Italy’s prime minister, Giuseppe Conte, agreed to go to Brussels only after Merkel abandoned a set of pre-written conclusions. A pre-cooked summit communique that emerged last week angered Rome, because Conte said it neglected the “emergency” of migrant arrivals in Italy. Migration has become a political football in Germany and Italy, although arrivals have dropped sharply. About 41,000 refugees and migrants crossed the Mediterranean in the first six months of 2018, while 960 people are confirmed or suspected to have died, according to the latest data from the International Organisation for Migration. The arrival figures are 51% down on last year and 81% down on 2016. 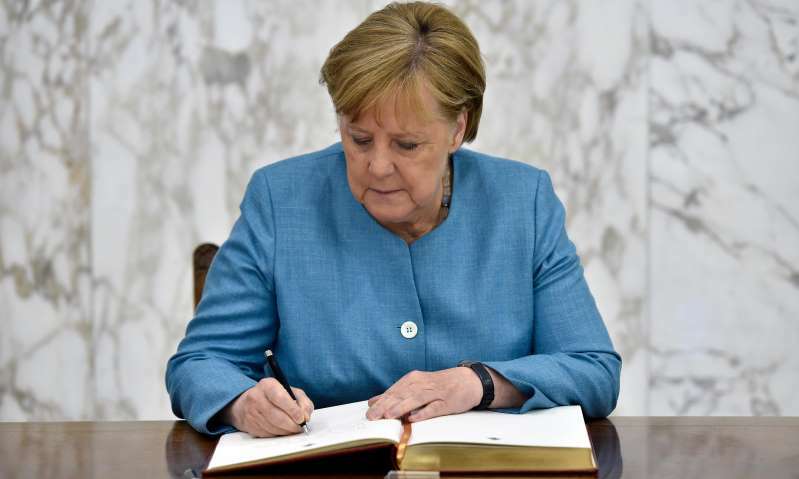 But the issue has shaken Merkel’s government, after the hardline interior minister, Horst Seehofer, who is also leader of the CSU party, set a two-week deadline for Merkel to come up with a policy to deal with asylum claimants arriving in Germany from other EU member states. Although the summit guest list started with eight countries, leaders from 17 member states were expected to attend. Hungary’s prime minister, Viktor Orbán, announced his country and three other central European states would boycott the meeting, although none was expected or obliged to attend. Marta Foresti, the director of the Overseas Development Institute, said the EU was “in disarray on migration and the probability of reaching EU-wide consensus is at an all-time low”.